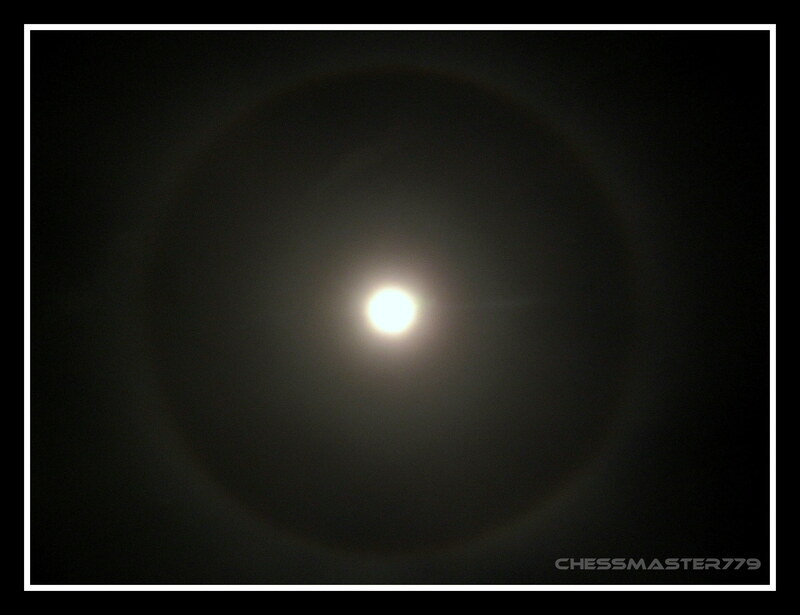 INDIA, September 27 2012: The ring around the moon, some people call it as a Lunar Ring, and some call it Halo. Well whatever you call it, wiki says it all –“A 22° halo is a halo, one type of optical phenomenon, forming a circle 22° around the sun, or occasionally the moon.” This image of Halo was clicked at 11:45PM 27 SEPTEMBER 2012, from Mangalore city, Karnataka, India. 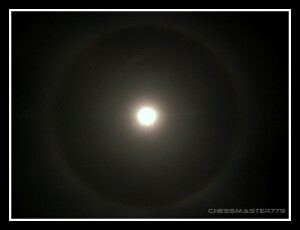 We had to wait for hours to get a clear image of Halo since it was very cloudy. For the better quality, click on the image.